Posted November 13, 2018 by Andler Dental & filed under Dental Articles, Dental Hygiene, Gum Disease, Oral Health, Overall Health. November is recognized as National Diabetes Awareness Month and serves to raise awareness of diabetes, other health problems associated with the disease, and the importance of regulation. In fact, one of the little-known facts about diabetes is that it directly relates to oral health. Our dental office in Madison wants to help do our part this month and let our patients know all about the importance of sharing a diabetes diagnosis with your dentist. One of the most important parts of managing diabetes is keeping blood glucose levels stable and within a healthy range. Properly managing diabetes can reduce the risk of complications or other health problems such as heart disease. But healthy blood glucose levels can also keep mouths healthy too. 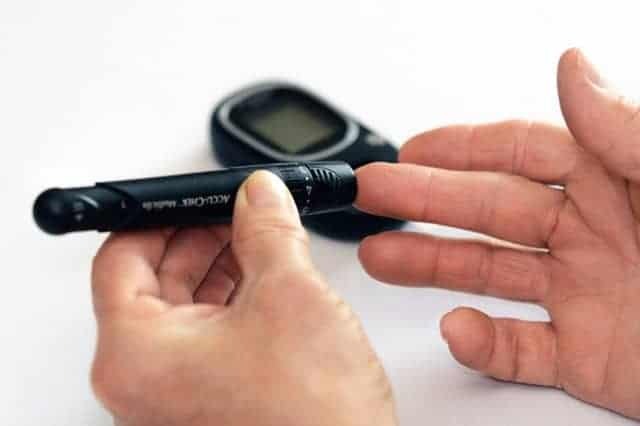 Recent research has shown a strong connection to diabetes and gum disease. In fact, studies show that this connection may go two ways. For example, people who have diabetes are more susceptible to gum disease but at the same time, gum disease can make diabetes difficult to regulate, causing it to progress more rapidly. We always recommend that our patients brush their teeth twice a day and floss once a day, whether they have diabetes or not. Following this proper at-home oral hygiene routine will not only keep teeth clean, but can help reduce the likelihood of developing gum disease and, in turn, protect against the progression of diabetes or unwanted spikes in blood glucose. The team at our Madison dental office is committed to protecting the health and smiles of all of our patients. Knowing all about any disease or health problem you have, including diabetes, can help us provide you with better care catered to your individual situation. If you have questions about how diabetes can affect your oral health, we welcome you to schedule an appointment with us today. We’re here to help.